My new Signature Albums have arrived. I am absolutely in love with them and can't wait for my clients to get their hands on them. They are a generous 10x10 inch size so that when you open up your album you get a lovely 20 inch spread. They come in an array of luxurious cover materials and leathers. The photo pages are super hard, quite thick and lay flat with no gutter in the middle. These are hand constructed by artisans in the USA and will last for generations due to their archival-quality construction. Quality tangible albums are probably your most important memory investment. Did you know that your digital photos are risky business? We risk leaving our grandchildren or great-grandchildren with what archivists call a 'digital dark age'. Digital formats are becoming increasingly more obsolete as technology swiftly changes and leaves our most precious images behind. Many of us will not have any photos to pass on if they are kept as digital pictures, and you can bet your great-granddaughter will not be searching through CDs or your social media pics. We all know it will be a whole new technology in 30 years. But this beautiful Signature Album will still be as good as new! Especially if you store it in the acid free archival box that it comes in. 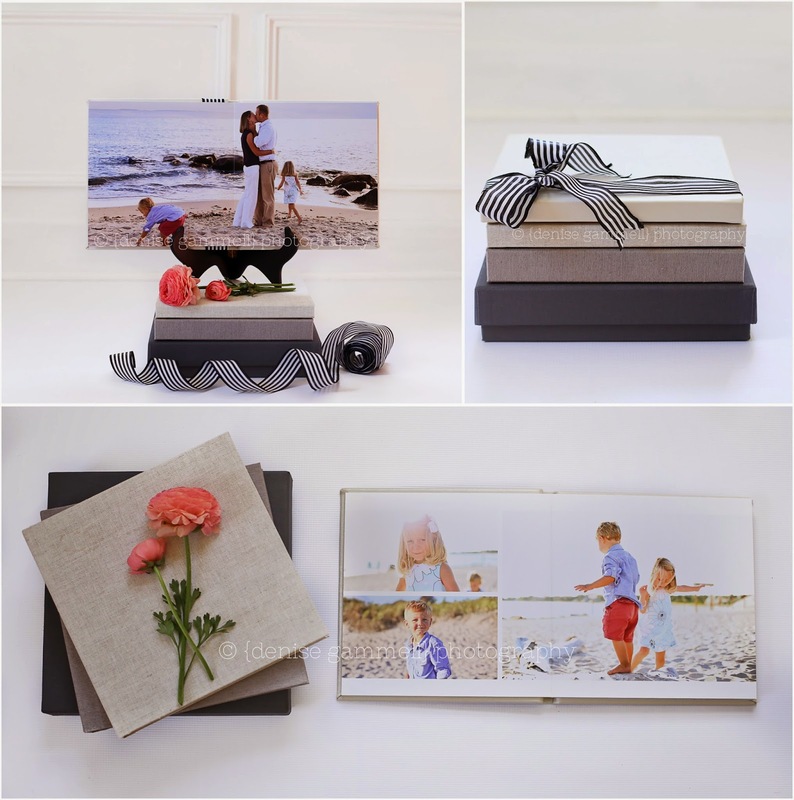 Please let me know if you would like to set up a time to view my samples and discuss ordering your own Signature Album for your precious memories. 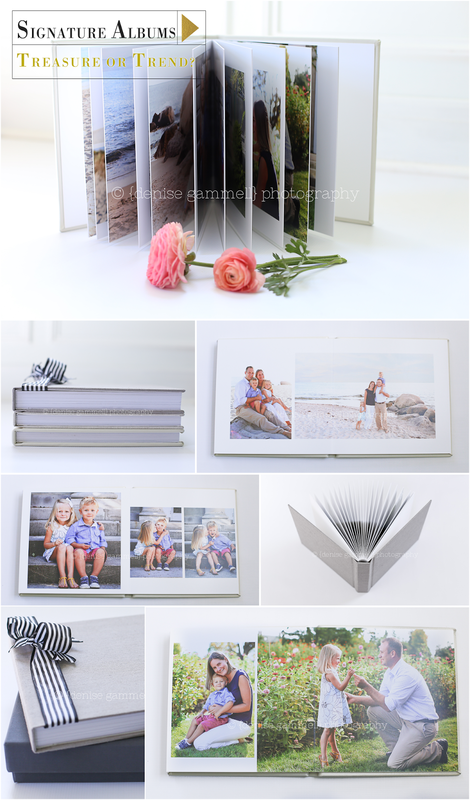 The standard size album fits your favorite session pictures (15-20) and the large album with extra pages fits your favorite pictures from two or three of your sessions (20-40 pictures). This investment truly is a gift for the whole family for years and generations to come. This is no trend item. It's about as much of a heirloom treasure as you can get! I absolutely love designing these pages so that the various family portraits from your gallery compliment the others on the page. Let me create one for you today and you can enjoy it for always.